Marilyn Smith, age 69, of Giltner, passed away Sunday, May 21, 2017, at the Harvard Rest Haven. Funeral Services will be held 10:30 A.M. Wednesday, May 24th at the Chapel of Higby-McQuiston Mortuary in Aurora. Chaplin Dorothy Molczyk will officiate. Interment will be in Giltner Cemetery. Visitation will be from 5 - 7 P.M. Tuesday at Higby-McQuiston Mortuary. Memorials may be made to the family. Condolences may be e-mailed to the family through the mortuary website at www.higbymortuary.com. Marilyn Jean Smith, the daughter of Louie and Elaine (Cada) Villwok, was born in Fremont, Nebraska on March 7, 1948 and passed away in Harvard, Nebraska on May 21, 2017, at the age of 69. She grew up in Cedar Bluffs, Nebraska, where she attended a two room school. Marilyn graduated from Central Community college in Hastings with a degree in Bookkeeping. 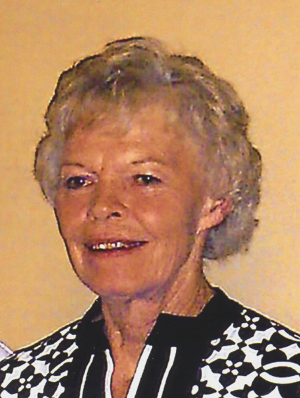 She worked at Peter Kewitt for two years and at McCleland Farm Equipment in Hastings for two years. Marilyn married Jimmie L.L. Smith on July 3, 1972 at St. Paul, Nebraska. In 1974, they moved to Giltner, where Marilyn did all the bookkeeping for Jim’s Diesel Repair Shop and J & M Trucking, that Jim and Marilyn owned and operated in Giltner. Marilyn also worked for Giltner Public Schools for six years as the school cook and BKH Popcorn in Phillips for eight years. Marilyn was a member of Ducks Unlimited and the N.R.A. She was an avid crafter, loved hunting and fishing. When her children were younger she was a den mother for Boy Scouts. She spent many hours gardening and working in the many flowers gardens that they had in their yard. Marilyn loved attending her children’s and grandchildren’s activities. Above all, her proudest achievement was being a dedicated wife to Jim and mother to their children. She was preceded in death by her parents and sister, Vonnie Lively. Those left to cherish her memory are her husband of 44 years, Jim of Giltner; children, Troy (Trish) Andrews of Alma, Kansas, Jimmie (Cori) Smith of Lincoln, Jeremy (Kim) Smith of Giltner, Jon (Leanna) Smith of Giltner and Jennie Schuster of Kearney and 15 grandchildren. She is also survived by her two sisters, Janet Anderson and Elaine (Red) Klinzing all of Fremont and many other relatives and friends.